An explosive recording of a meeting between senior Bosasa executives reveals a discussion about former president Jacob Zuma’s involvement in their bid to muzzle a Hawks investigation of the company. The meeting, in November 2017, included Bosasa board chair Joe Gumede, the company’s youth development project manager Jackie Leyds and HR manager Johan Abrie. Also at the meeting were three state capture commission whistleblowers, brothers Leon and Andries van Tonder, and Frans Vorster. The trio’s lawyer, Daniel Witz, confirmed to the Sunday Times that they had been made aware of the recording. “We cannot comment on its contents until it has been brought before a commission of inquiry or a court of law,” he said. The Sunday Times understands the recorded meeting was called in an effort to convince the Van Tonders and Vorster not to blow the whistle on the company’s alleged corrupt practices. “I was approached by the Hawks for the same thing, me and Gavin. Gavin and myself, we went to see the old man… the president, on this matter … when this matter was starting to brew again … we went to see him and he promised that, he was going to Russia … he said before he goes he will call two people … and indeed he phoned them and we got feedback. 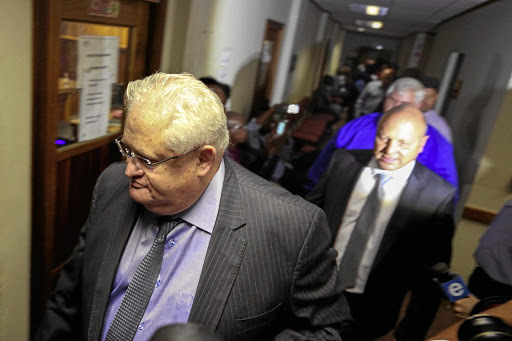 Agrizzi testified last month that he and Watson met Zuma’s friend, former SAA chair Dudu Myeni, at a Sheraton Hotel, where she showed them the National Prosecuting Authority (NPA) docket on the investigation of Bosasa. He said he could not recall the date of the meeting. In the audio recording, Gumede says they don’t want Agrizzi and Gillingham charged for fear they would implicate others in the company. Abrie interjects and says Bosasa CEO Gavin Watson will not appear on the Hawks’ list of suspects “because he was never involved”. Approached for comment, Bosasa executive director Papa Leshabane said he and his colleagues had taken “legal advice” not to engage with the media. “We accordingly make no comment,” Leshabane said. Zuma’s spokesperson, Vukile Mathabela, said Zuma had a team of lawyers dealing with all issues related to Bosasa and the media, and undertook to forward the Sunday Times inquiry to them. No response was received. “The so-called muzzling is just wishful thinking. 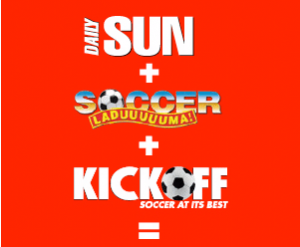 This is an attempt to rubbish the arrests and subsequent appearance of the six Bosasa accused,” Mulaudzi said. He challenged those behind the “so-called recording” to come clean first and “name and shame those people that are conniving behind the Hawks back”. “As a result of the arrest he is confirming his rights in terms of the constitution in order to ensure that he has a fair trial. Once this is established he will arrange a date to give testimony,” he said.